Beauty pageant competitors band together to fight back against cyberbullying. Beauty pageant competitors are rarely seen in public without a face full of makeup highlighted by a sparkly tiara and a sash. 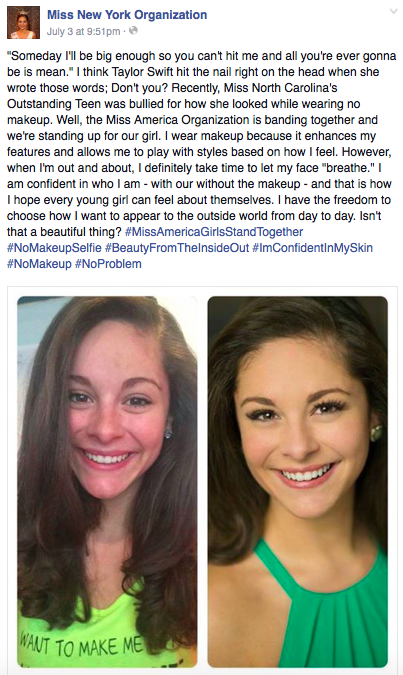 But Miss America Organization titleholders and competitors around the country have been doing just that - snapping selfies of their makeup-free, smiling faces and sharing them on social media to take a stand against cyberbullying and make a statement about real beauty. The viral campaign began after a teenage competitor in North Carolina became the target of a cyberbullying incident when an anonymous post appeared on Twitter comparing her appearance in photos with and without makeup, The Charlotte Observer reported. 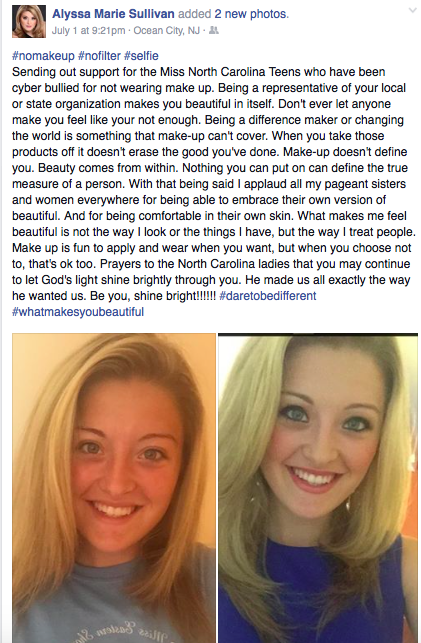 A fellow teenage competitor saw the post and shared her own "no makeup selfie" that spontaneously kick-started the campaign. 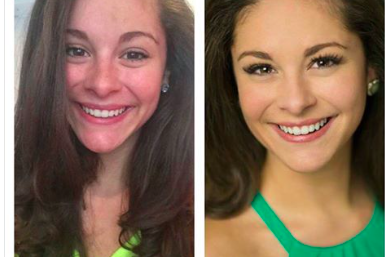 Soon, Miss America Organization contestants and supporters around the country joined the campaign, sharing natural photos and encouraging words with the hashtag #nomakeupselfie. 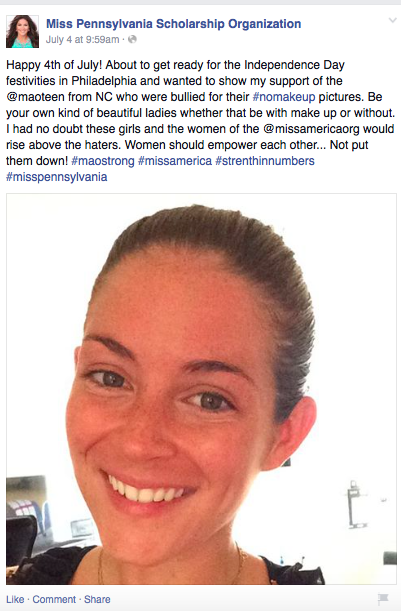 Ashley Schmider, Miss Pennsylvania 2015, wrote, "Women should empower each other... Not put them down!" Fellow competitor Alyssa Sullivan, of Cape May Court House, New Jersey, wrote, "What makes me feel beautiful is not the way I look or the things I have, but the way I treat people." Miss New York 2015 also joined the campaign, sharing, "I have the freedom to choose how I want to appear to the outside world from day to day. Isn't that a beautiful thing?"